There are many "moving parts" to the chart in order to encourage them to be interactive and help reinstate what you are learning. Gigi is excited everyday to physically "do something" and apply her learning. I pizazzed some jars I already have by painting the lids and adding washi tape. Gigi is very proud of her learning space in the house. 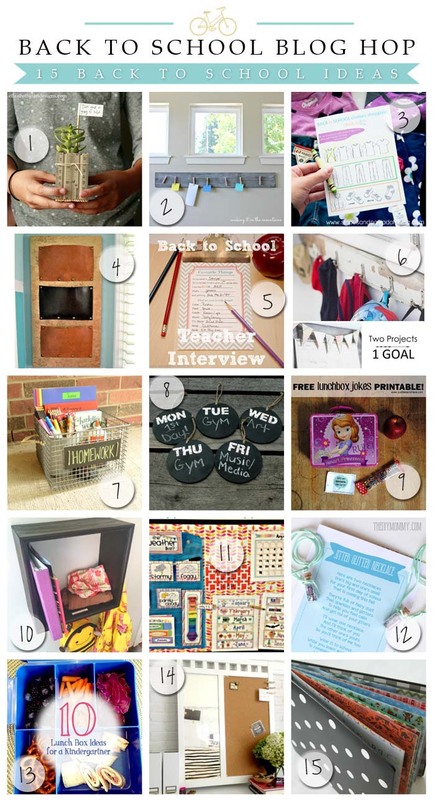 Please check out all these amazing back to school ideas!! 15 of them, wow!! So fun. this is great. I try to include my kids in deciding what to wear. And this is a great way for them to understand appropriate attire on their own. No more sundresses in winter. And they can easily see what day of the week it is. I love the patterned material you used. Emily that is a great idea and teachable moment! This is so wonderful! My kids would love this! Adorable! 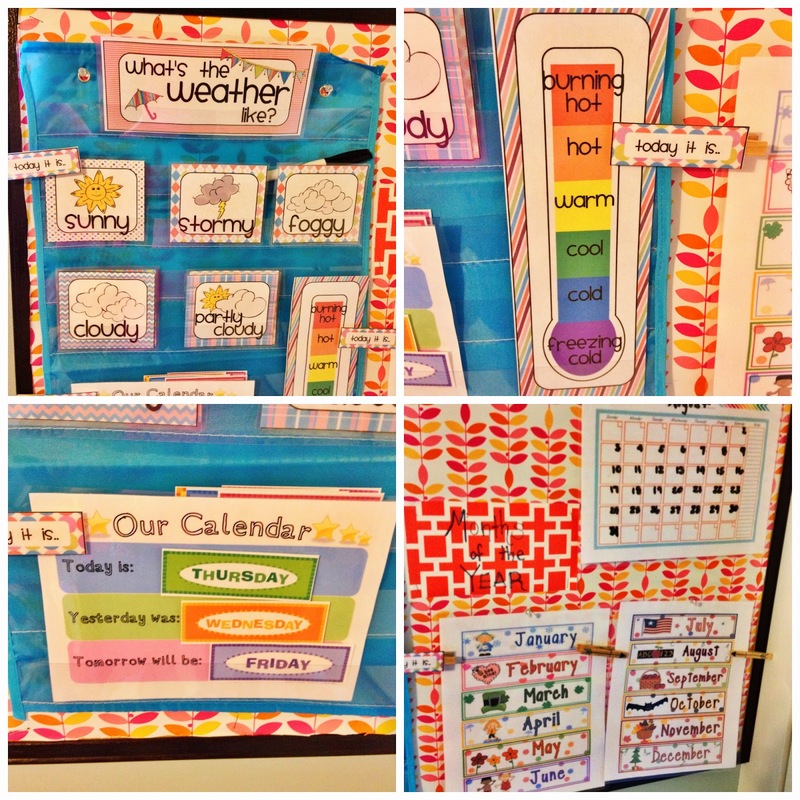 What a colorful and organized way to put everything together! 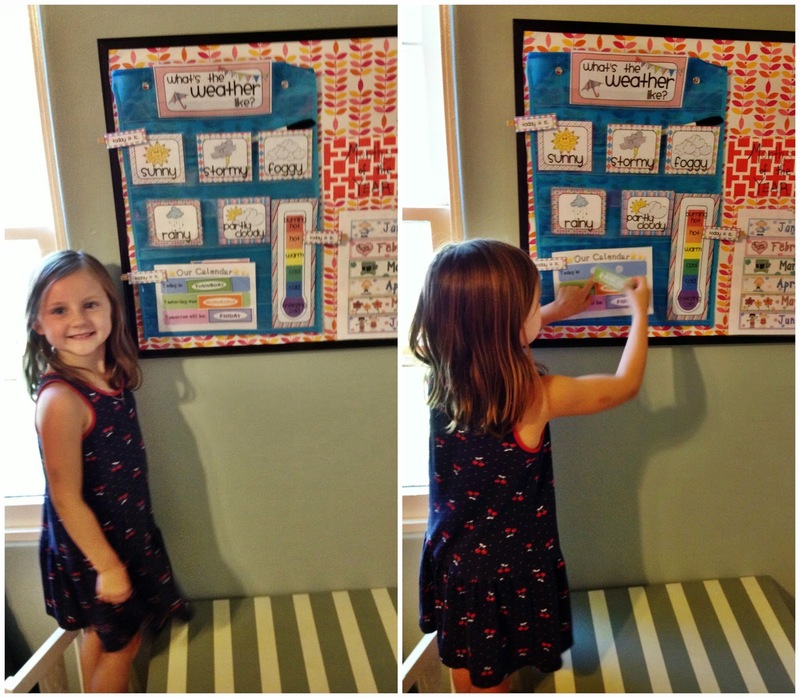 I plan to homeschool/ unschool myself so I love seeing different ways mamas do this in their own homes! Candace, Gigi starts Kinder in the fall and I am homeschooling....oh boy, nervous and excited! Adorable! It's like her own personal classroom! This is fantastic! My 5 year old also has about a gazillion questions a day, so she would LOVE this. How fun! And your daughter probably loves this more than a straight answer to all her questions too...much more interactive! I just love her school table below her board!! And, what a great start to learning about weather, the time, etc.! Brilliant! 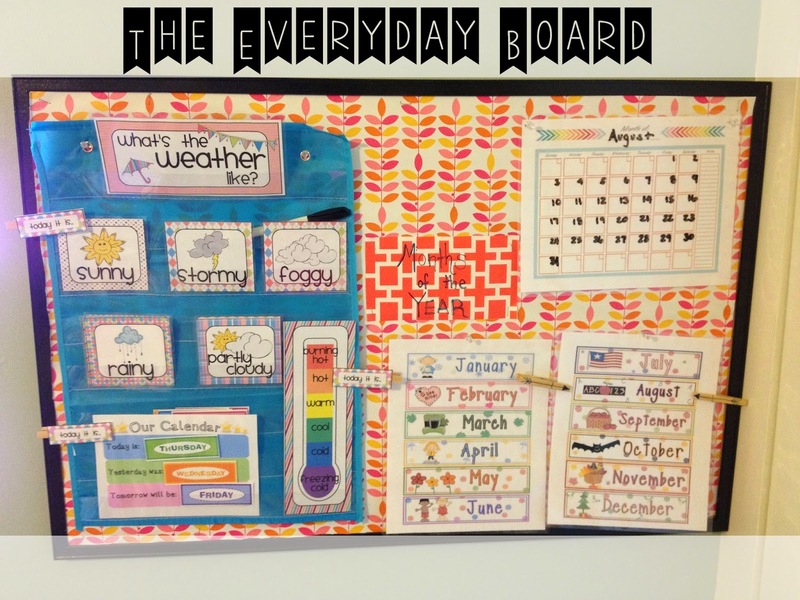 It's like a preschool classroom in one little board! I love it! I think my boy will get a kick out of this in the next few years! Totally!! I hope your little one enjoys it someday! So fun! What a wonderful space for your daughter! The jars are adorable and simple to transform! Thanks Susan! 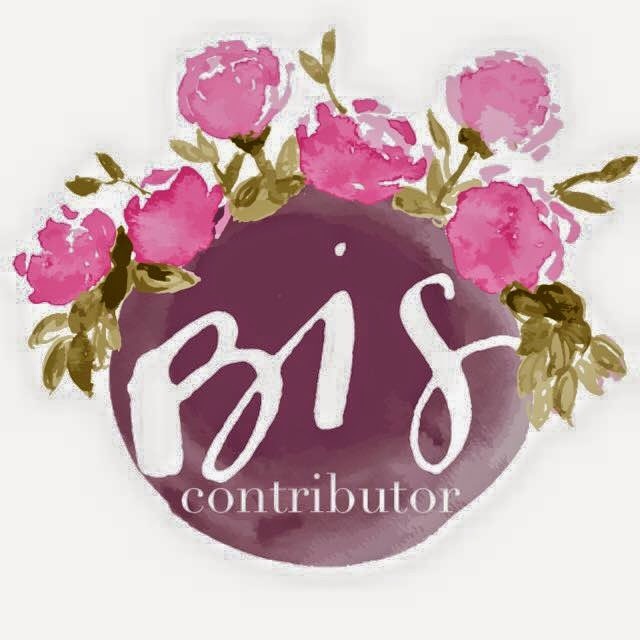 The Jars are one of favs! This is awesome! Saving it for later.